Information: Claiming 25,000 ryo to be automatically deposited in my bank account. Information: 25k to the bank. Also received the scroll for Four Symbol Seal from Kazuya. Description: A new threat looms over every major country and the Kage have determined that a unified task force will be necessary to handle this mysterious monster. Each village is tasked with supplying the necessary shinobi to take out the threat and secure the lives of the entire continent. A team of Konoha shinobi that are aptly prepared to handle this threat must assemble and train as a single unit to promote effectiveness and squad cohesiveness. The team must consist of at least 3 shinobi, but no more than 5, and each participant must be able to fill one of the roles denoted by the required Skills; more than one Skill is welcome, but each ninja must fulfill a single designated role separate from all other participants. Any rank is able to join, but one leader of Chuunin or higher must be chosen to lead the squad and join with the forces of the other villages to handle this new threat. Mission Goal: Assist in the defeat of the threat. Description: The team assembled by the previous mission must depart and assist in the defeat of the new unknown threat. You will be aided by teams from the other villages, but make no mistake, this is a hazard of the highest level and you may not return alive. Take every precaution and be prepared for intense battle. Work as a team to ensure everyone's survival, but above all else, neutralize the target at any cost. Description: While all villages are occupied with handling the threat to the Northwest, an opening will be left for Konoha to gather important information on other villages. Take great care not to get caught, for the other villages will not be left defenseless, but gather what details you can that may prove valuable to the village. This includes Guard Shifts, Entrances, Defenses, Techniques, Resource Locations, Trade Routes, Foreign Relations, and anything else you deem useful. If caught, be prepared to fight, but escape is your primary objective. Be sure to remove all affiliation with Konohagakure upon your departure, as our involvement in this mission must not be discovered. This is a mission that can be taken multiple times and completed simultaneously; every village is a separate mission, and this can also be applied to Counter Espionage if you discover that any other village is attempting to gather information on Konoha. Remember, this mission is only considered complete if you return with some sort of valuable information or successfully fend off a foreign spy. This mission's rank and payment may increase based on the level of enemy shinobi you fight, if a fight should occur. Information: Claiming 750 spendable EXP + 800 spendable EXP for classing up from C-class to B-class. 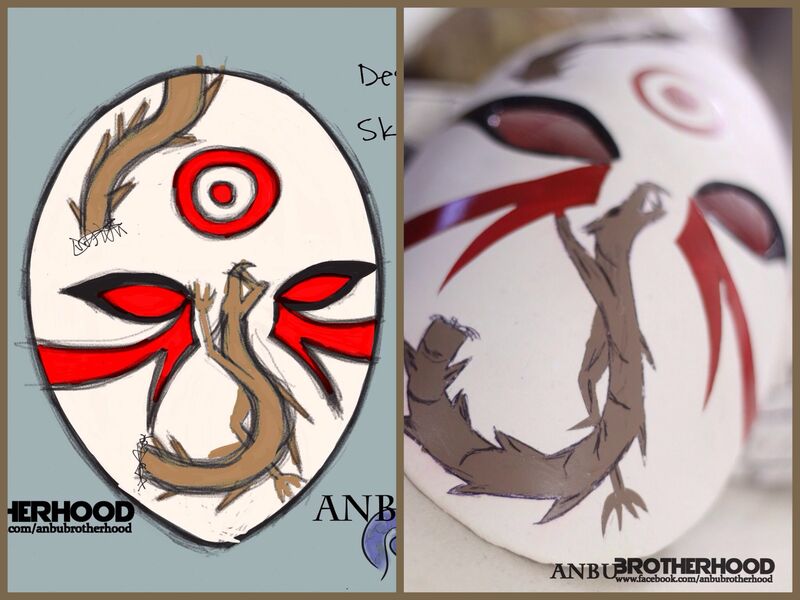 Claiming 50,000 ryo salary for ANBU for 24 months. Information: Spending 60,000 ryo to maintain a Wealthy Lifestyle. Buying Heavy Cloak and Field Plate from Secret Shop for Armor equally 100,000 ryo collectively. Information: Claiming A-rank Item following 1,000 renown perk and C-rank Unique NPC for 2,000 renown perk. Description: Ripsaw is a Meteor Hammer with a 30 ft. shuriken-chain. The head of the Meteor Hammer is a studded ball of titanium weighing seven pounds approximately eight inches in diameter. Chainsaw: By transferring a minuscule amount of the user's chakra down the chain and into the hammer they can trigger a mechanism that protrudes a three inch thick saw blade around the circumference of the hammer which can be fed chakra to rotate like a circular saw. Alternatively they can do the same to the shuriken-chain causing them to vibrate and move past each other simulating a high-powered chainsaw effect. Both or one of these effects can be activated for .5 CP per post. For reference, the chainsaw motion moves at A-tier Speeds. Information: Claiming 60,000 for salary, but spending 60,000 to live a Wealthy Lifestyle. Battle Instinct (Freebie): At Will, Gin can increase his general Perception to new heights increasing it by +1 tier. This cannot reach S-tier alone. One-Handed Seal: After training diligently in the Ninjutsu art, Gin can weave hand seals with only a single hand. However doing so reduces his Coordination by 1 tier. Ancestor's Spirit: Gin is one of the few possessing the unique ability of chakra absorption. This can be done at a max rate of 15 CP per post on contact with the technique and the chakra must be non-elemental Ninjutsu. If the technique costs less than 15 CP Gin only gains however much chakra is used. This does not negate the technique, but merely allows Gin to gain CP from it. As a result of this, however, the non-elemental technique is considered 1-rank stronger in power. This only works on Non-elemental technique capable of causing harm. He can only absorb half of his total CP. Righteous Warrior: Gin has a natural affinity weaponry, namely blunt weaponry. Bukijutsu receives a -1 rank in chakra cost, but as a result Fuuinjutsu is +1 rank in chakra cost. Path of Wisdom: Gin has an extra attunement slot for enchantments, however, that last enchantment has its charges reduced by half. Also performing a Universal Claim after this. Ancestor's Spirit: Gin is one of the few possessing the unique ability of chakra absorption. This can be done at a rate of 15 CP per post on contact with the technique and the chakra must be non-elemental. If the technique costs less than 15 CP Gin draws the remainder of the CP from the victim's pool. This does not negate the technique, but merely allows Gin to gain CP from it. As a result of this, however, the non-elemental technique is considered 1-rank stronger in power. All approved with the exception of Ancestor's Spirit. Currently in discussion. Edits made according to staff discussion. Xurious wrote: Ancestor's Spirit: Gin is one of the few possessing the unique ability of chakra absorption. This can be done at a max rate of 15 CP per post on contact with the technique and the chakra must be non-elemental. If the technique costs less than 15 CP Gin only gains however much chakra is used. This does not negate the technique, but merely allows Gin to gain CP from it. As a result of this, however, the non-elemental technique is considered 1-rank stronger in power. Also, forgot to limit it to Non-elemental Ninjutsu.